Don’t let Lisa Ono’s low-key delivery put you off. She captivates audiences with her purity of voice, rhythmic guitar style and beaming smile. 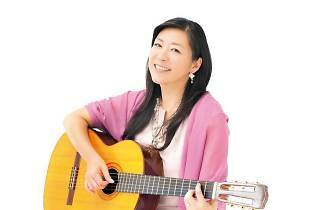 Born in Brazil, Ono‘s childhood was split between Rio de Janeiro and Japan before she later gained fame for introducing the bossa nova dance to the Japanese. She’s now a huge star in the land of the rising sun – and Hong Kong gets to see this one-off show at the Macpherson Stadium – part of her 30th anniversary tour. This is a rare chance to see this incredibly talented performer live in our city. Put your miles to good use by catching this starlet.